Persepolis. The Pyramids of Giza. The Statue Of Liberty. Mount Kenya National Park. And East Hollywood? 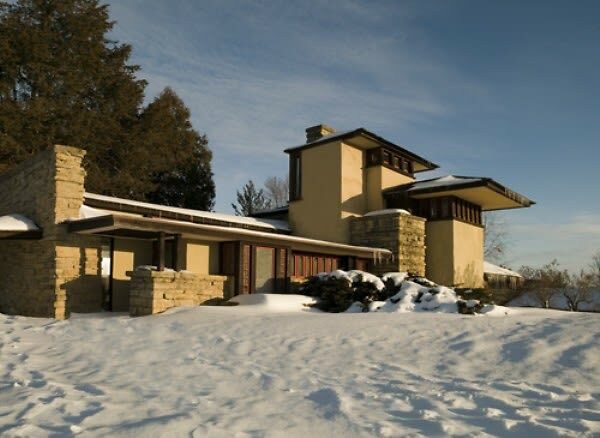 If US Interior Secretary Ken Salazar has his way, Barnsdall Art Park's Frank Lloyd Wright designed Hollyhock House will soon be on the United Nations' list of the world's most significant natural and cultural sites, known as UNESCO World Heritage Sites. 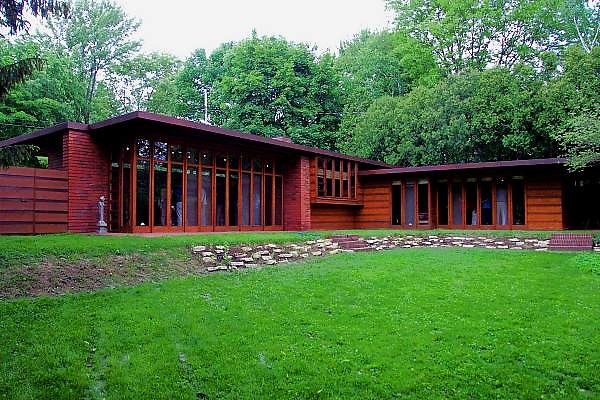 Salazar nominated Hollyhock, along with 10 other FLW buildings, asserting that they meet the criteria of being not only an "outstanding" example of architecture but also a "masterpiece of creative human genius." So, y'know, no big deal. 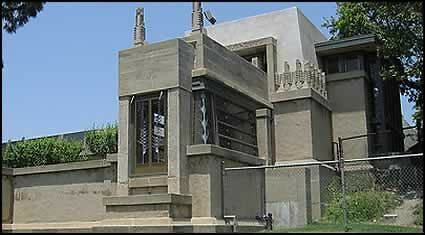 The centerpiece of Olive Hill's Barnsdall Art Park, Hollyhock was originally designed by Wright for Aline Barnsdall in 1921. UNESCO describes it as "a dramatic expression of Wright's approach to creating an architecture for a southern California setting," noting that "the design seamlessly melds exterior and interior living space via terraces for each room and an intricate circulation pattern." In the late 20's, Barnsdall donated the house and the surrounding area to the city in honor of her father, which is how the Art Park (the grounds also hold the Los Angeles Municipal Art Gallery) came into existence. "Fallingwater is a happy flowering of Frank Lloyd Wright's genius, a great work of art. Yet underneath the effects of great art - however masterly and ingenious - there lies a consistency of the whole." "Both the Administration Building (also called the Johnson Wax Building) and the later Research Tower...are of brick and glass. The main office work space is articulated by dendriform columns capable of supporting six times the weight imposed upon them, a fact Wright had to demonstrate in order to obtain a building permit." "...[Wright's] great swansong, the Solomon R. Guggenheim Museum of New York, is a gift of pure architecture—or rather of sculpture. It is a continuous spatial helix, a circular ramp that expands as it coils vertiginously around an unobstructed well of space capped by a flat-ribbed glass dome. 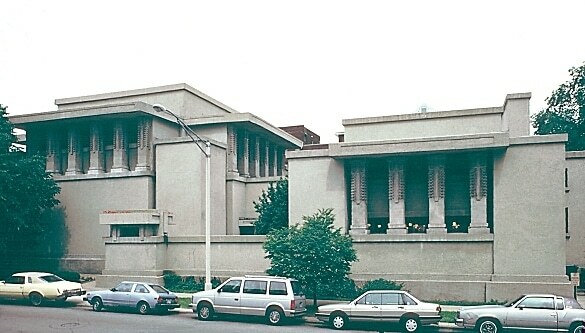 A seamless construct, the building evoked for Wright 'the quiet unbroken wave.'..."